The Conference Finals are set to begin already, just a day after the Pacers finished off the Knicks in the only remaining series of round two. Will the Heat advance to their third straight NBA Finals? Will San Antonio get back to the promised land that Gregg Popovich knows so well? After it looked like nearly all the first round series were heading towards a sweep, the playoffs took a bit of a turn. Five series went to six games and one went down to the final minutes of game seven. The second round features some potentially entertaining and high-flying matchups. It tips off in just a few minutes, so, with that, here is who I’m picking to move on and battle for a conference title. Four Game Sixes: Who wins, who goes home? 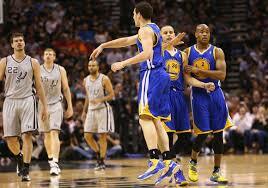 Tonight’s NBA schedule features four game sixes, two out west and two in the east. Boston has turned a 3-0 series deficit into a 3-2 deficit against New York, and Houston has done the same against Oklahoma City. The home team has won all five games in Indiana’s series against Atlanta, and Memphis has reeled off three straight wins after being down two games to none to being its series with the Clippers. Going The Distance’s list of the NBA’s top 30 centers continues today with No. 10-6. Scroll down to the bottom of the article to find the previously posted rankings (No. 30-11). 10. 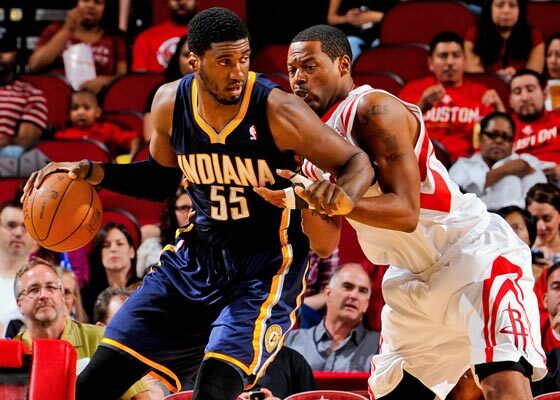 Roy Hibbert – Indiana Pacers: Hibbert has the ideal frame of a dominant center at seven-foot-two, 280 pounds. As recently as last season, he was in the conversation involving the NBA’s top centers, but since signing a max-deal with Indiana, he has been labeled “undeserving”. Sure, Hibbert had an unstoppable floater/hook shot combo that has become somewhat stoppable this season. He also was one of the league’s best back-to-the-basket players, but has suddenly lost the ability to draw double-teams. Amidst all the negativity surrounding Hibbert, his offensive numbers are still strong for a team that prides itself on defense, and have not dipped as much as it may seem since last season. Also, Hibbert is the defensive anchor of his defensive-minded team. He averages 11.9 points, 8.3 rebounds and 2.6 blocks, the highest blocks per game average of his career and good for fourth in the NBA. Last season was Hibbert’s best, as he scored 12.8 points per game, grabbed 8.8 boards per game and swatted away 2.0 shots per game.